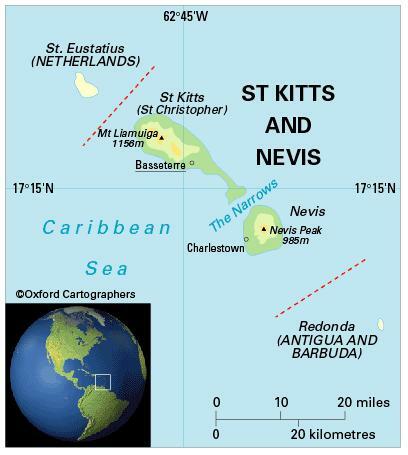 54,000 (2012); some 12,000 of whom live on Nevis; 32 per cent of people live in urban areas. The population growth rate stood at 1.2 per cent p.a. between the years of 1990 and 2012. In 2012 the birth rate was 14 per 1,000 people (est 26 in 1970) and life expectancy was 75 years (est). The population is mainly of mixed African and European descent, with a UK-descended minority. St Kitts and Nevis is classified as a high-income economy by the World Bank.